Welcome to the official GMC Jam #17 Games Topic! A zip file will be created within a day or two of the Jam finishing to facilitate the playing of all entries. The AI has taken over and locked you out of the system. You need to send a direct current straight to its motherboard in order to fry it and defeat the system. 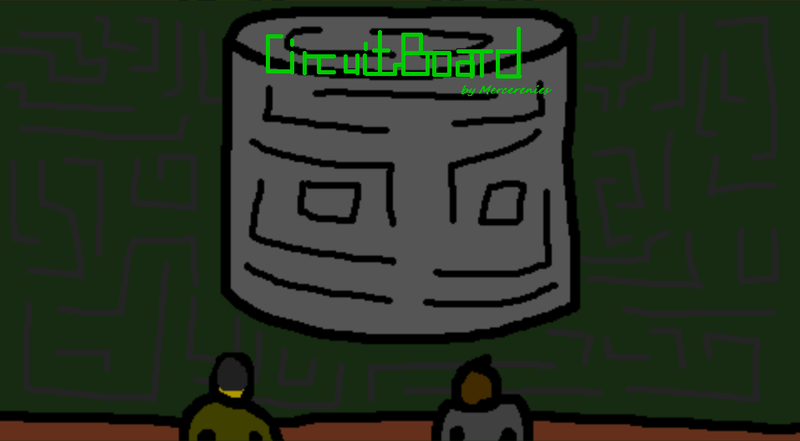 Complete over twenty challenging circuit puzzles and stop the AI once and for all! 6:01 PM - Synchronize! Well, time to Jam. I've got almost the full time, so it's game on. Good luck, everybody. 6:06 PM - Circuits! ... ... That's all I've got. Syncing up circuits to power things. Not sure how "dying" would work in that. 6:32 PM - I dunno. I might be forfeiting the handicap this time. 7:09 PM - I think I'm going to recycle some parts of my drag'n'drop system from Bridges (which was also used in Barry, actually ). 7:36 PM - "My code won't work." "OMG GM IZ BROKEN!!!!" ... thirty minutes later ... "Oh look. That position_meeting should be instance_position." Yup. I'm a moron. 8:11 PM - Blocks are now drag'n'droppable! Unfortunately, we don't get to see my wonderful tablet sketches now, as my tablet seems to have developed an aversion to turning on. 8:34 PM - Yup. I'm thinking the handicap is going out the window on this one. And I live on the fifth floor, so that's going to be quite a drop. 8:57 PM - Gah why is image_speed automatically 1 by default? The use cases for it starting at 0 far outweigh the cases for it starting at 1. 8:59 PM - IURGIYTEGEIRHNVJHRKDLJ I did the position_meeting thing again! I must be really out of practice! 9:17 PM - Oh that's right. The latest "stable" GM release can't debug scripts... just object code. Dandy. 9:18 PM - Wow I've been rude and dismissive this whole time. Here, have a happy picture of a smiling flower to cheer you up. I'm sorry! 9:24 PM - Electricity will work now, but rotation hasn't been implemented. Time to do that. 9:26 PM - Rotating blocks work. Electricity is now a thing! And with that, I'm going to reboot my computer. It's acting a bit slow; probably just Firefox leaking memory. 9:52 PM - Annnnnd crossover circuits! They do exactly what they look like they do. Fortunately, they can handle current in both directions simultaneously. 10:15 PM - Double curves. They work like regular curves, but, ya know, there are two of them. 10:30 PM - Just remembered that 7 isn't an even number... I wanted to have "half-wires" where the electricity would go through in half the time, and the normal transmission time is 7 frames. So I just finished converting everything to 6 frames. 10:51 PM - Fast and slow wires. The three wire signals in the image should be the same speed, but I need to run some tests to make sure. 11:16 PM - Amusingly, I'm having some synchronization issues. The timings won't match up exactly. I keep losing single frames in places. 11:48 PM - Well, synchronization just isn't happening. I'm going to give a little leeway. The goal is to get the lights lit up at the same moment (around 6 frames). 11:53 PM - Forgot to mention, the lights turn green if they are lit simultaneously or red otherwise. If they turn red, toggle the lightswitch to turn it off and move the wires around to try again. 11:55 PM - Going to take a short break to play a game with my roommates. Be back in a bit. 1:41 AM - I'm back. 2:38 AM - Got a "branch-off" wire working. Instead of just having intersections at the middle, it will also branch off to sides of wires, creating more intricate puzzles. Not a very good description, but I'm about to fall asleep in my seat here. Goodnight, GMC. 12:36 PM - What's up, fellas? Let's get back to designing! 1:07 PM - "Parallel" blocks work. Screenshots coming as soon as I fix another nagging glitch I just found out about. 1:12 PM - Simple problem. The room height wasn't divisible by 48, so when I placed something in the bottom row the game sort of freaked out since it wasn't a full row. Anyway, parallels and branches. At the bottom near the left. Fairly self explanatory. 1:36 PM - They're back! 2:10 PM - Just working on plot right now. The scientific genius from Bridges has lost control of his learning supercomputer, so he's asked his close friend to come in and shut it down manually. 2:46 PM - Campus wifi is getting spotty again, so updates may be spotty if it goes down. But I'm just creating dialogue right now. 2:56 PM - Introductory dialogue complete. Now to make some sort of semblance of sequence for the stages. 3:05 PM - Got level sequence. Now there are a few more wires I wanted to add before continuing. 3:29 PM - Four corner wires. Just like the double elbows except they have an elbow at each of the four corners (designed to work with branch/parallel wires). 3:54 PM - Found GIF recording software so now I can make animations! This is what electricity looks like. 4:00 PM - Dinner time! 5:24 PM - Making some fairly good progress. Got some interestingly shaped wires now (mostly just unions of basic blocks, like a parallel combined with a straight, etc.). 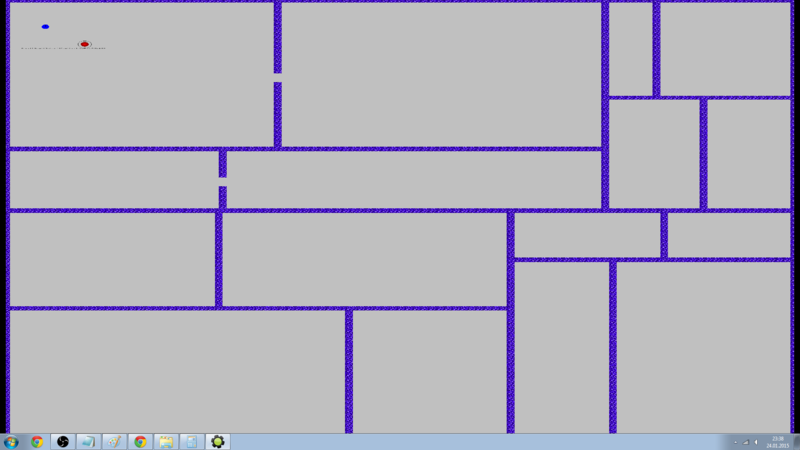 Now I'm going to make a main menu. 5:49 PM - Has a title and a logo now! 6:59 PM - One stage is completely done. 8:22 PM - Fudge, more timing issues. 8:29 PM - Just demonstrating how the drag'n'drop mechanic works with the electricity mechanic. 9:55 PM - 21 different kinds of wires (excluding the light bulb and power source) and 11 stages so far. Good progress, I think. 11:01 PM - Here's a screenshot of the latest level, just if you're curious. 1:23 AM - I'm done for tonight. 18 levels. To do list for tomorrow: A few more levels (probably have 24 or so), music (as well as SFX), ... hm... that's actually all I can think of. Wow, I'm making pretty good time. Goodnight, GMC. 1:04 PM - Good morning again, GMC. 2:18 PM - Just adding SFX now. 3:00 PM - Well, it doesn't actually have a proper ending yet, but since it's reasonably stable, I'm going to release a demo. 3:03 PM - Hold on just a minute. Got to fix something. 3:10 PM - There. Link fixed. Just didn't want to upload the whole game just yet, so I limited it to only the first 11 stages for now. 6:23 PM - Beta version is ready. Link available at the top of this post. 10:28 AM - Just found a little problem with the game audio that has now been remedied. New download available. 5:35 PM - Nice Jamming with you, folks. Can't wait to play all the game, and I'll see you all in a few months. Edited by Mercerenies, 26 January 2015 - 11:43 PM. Edited by NAL, 26 January 2015 - 09:26 PM. T-2hrs I'm really done this time. Lots of extra polishing and loving went into it. My hands hurt, but whatever. I discovered too late that's it's an order of magnitude harder to perform certain tricks playing on the keyboard instead of a controller. I think that's a problem keyboard users are just going to have to deal with. It's not physically impossible, but rocking between left and right is so much easier on a good dpad (tested on DualShock 4) than the cursor keys on a clicky keyboard. I'm not worried, though. The aforementioned tricks don't really come into play until day seven (of nine), and it's hard enough to get that far as is. T-14hrs I'm done. Like, I could add more, but everything that needs to be there is there. Probably nobody will get to it, but there is an ending to the game. 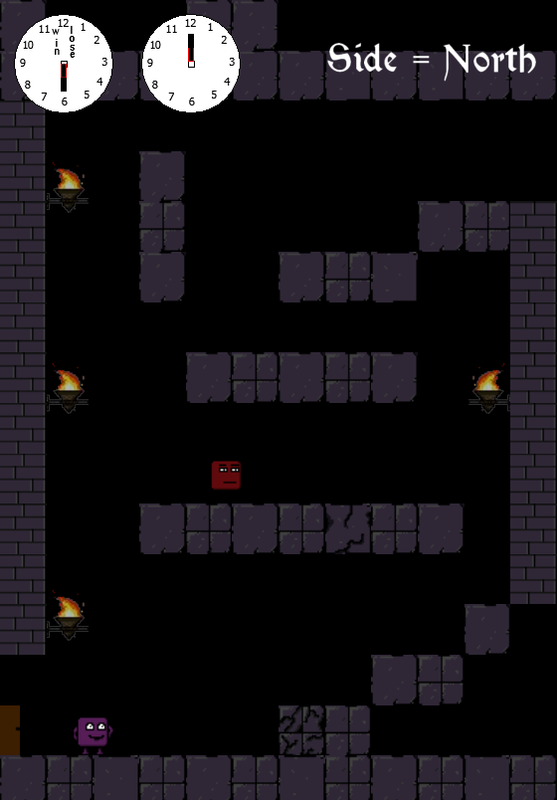 I added a new enemy type and seven new levels (bringing the total up to 56). I'm going to bed now. Depending on how much time I have tomorrow when I wake up, I'm going to just spend my remaining hours adding more levels. The game is ridiculously difficult enough as is, so I don't think anyone will make it through to the end. I don't know whether that means people will hate it or love it. Some of both of course, but which way the average person leans will be interesting to find out. T-18hrs I put recordings of myself playing the game in it, which is cool for lots of reasons. Primarily though it helps because now the game satisfies both the theme and handicap instead of neither. 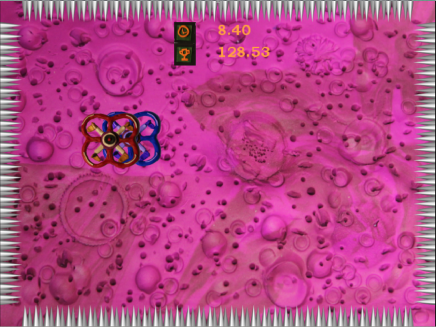 The player is being tasked to synchronize with my runs of the game, and sometimes the target is dying in a certain area of the level rather than getting to the ending portal. I've put in recordings for 28/49 levels so far, but it should only take about an hour to do the rest of them. As such, I'm definitely going to use the rest of the time to put in extra levels. The game will be much better for it. T-26hrs I got some sleep. Not enough, but it will suffice. I have to leave for an Harry Potter play with my girlfriend that I totally forgot about, but at least I'm ahead of schedule and this will be fun. The Papers, Please-inspired meta-game is all hooked up. I may end up adjusting the balance later on, but right now I'm super pleased with it. T-36hrs It's hard to believe I'm technically only halfway through the jam right now. Only technically because I'm about to head to bed (sleep #2) and so will lose a few hours, but whatever. Hard to believe because I'm feeling very nearly done with the game. It can be run through from start to finish with most of the real gameplay intact. 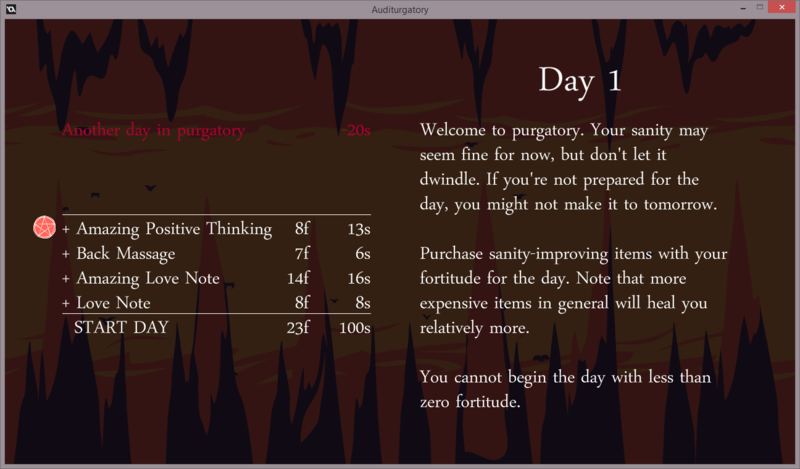 I still have to add a lot though because right now there's no synchronizing in the gameplay (only allusions to it; it's complicated) and death doesn't yet have twisted benefits (for reasons that are also complicated). I got the basics of the meta-game finally up and running. There's no actual losing yet, and I have to plug a lot more content into the procedural generator, but I'm happy with the progress at this point. I'm planning to use the extra time I think I'll have tomorrow to add some more levels. Like I said earlier, 49 is plenty, but there's nothing wrong with more. I may just need to adjust the balance. T-40hrs Cutscenes are in the game now. I took longer than I wanted to, but at least it's done now. Working on counting lives and continuity from day to day now. T-43hrs The game pauses now, and there's a main menu, and all of the sound effects and music are cut in. I probably polished the menus a little too much, but whatever. Polish is brill. T-49hrs 49 is probably plenty of levels. I may make more later, but it's plenty for now. Building my own level editor took about as long as making all those levels (2hrs each), but it would have been an order of magnitude longer had I used the built-in level editor. I did that for Circle 17 and Tripod and it was sooo much work running the game over and over and rearranging everything and doing all the checks. I think I need to start working on the meta-game now. T-52hrs Sleep was good, but I actually didn't get as much as the time gap would suggest. I spent entirely too long watching TV instead of falling asleep. Anyway, I'm doing level design right now. 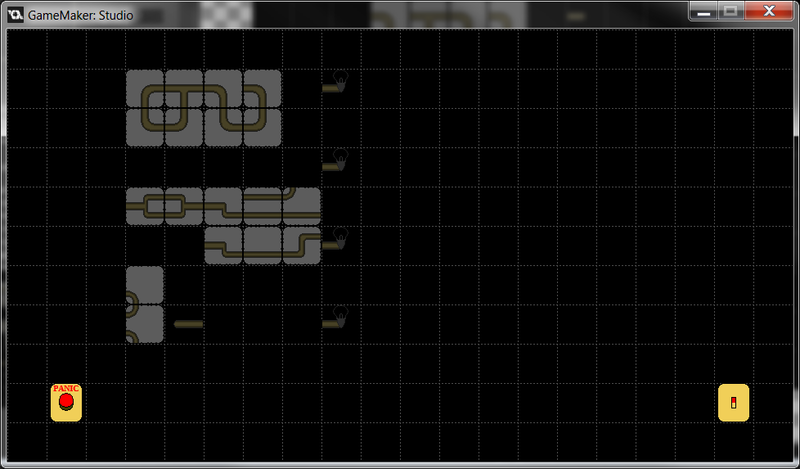 The level editor is finished. I added a token to grab in select levels that will give you more money at the end of the day, but will be out of reach for novice players. Incentive to do better, you know? Everybody loves that. 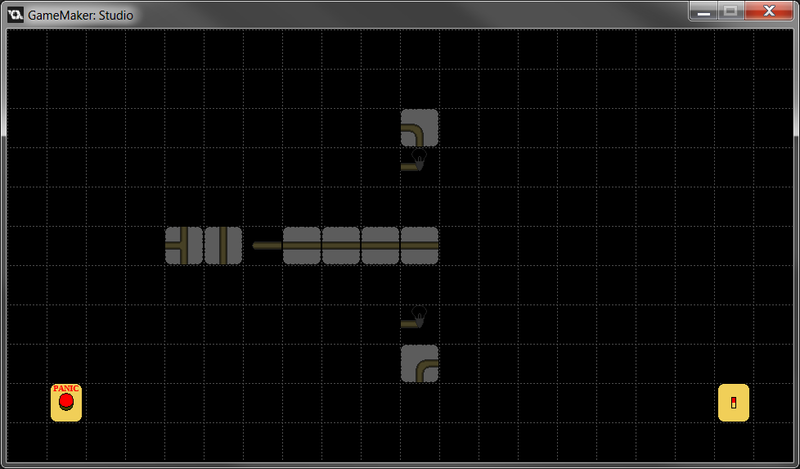 T-60hrs The basics of the level editor are in place. I can edit stuff and put it all in. I think I have all of the elements that will actually go in levels. At this point, it would take a lot for me to add more, so I'll just say that I'm done. The level editor doesn't save anything yet, but I need to figure out if I'm going to write the meta game first or build the levels first. Either way, it's nearly twelve hours into the jam and I'm feeling heavy eyelids, so I need to get a few hours of sleep. T-63hrs I keep getting more and more done. There are all sorts of traps and evil things in the game. This is good, but it means I had time to think more about the game and expand the scope, so now I'm really playing with fire. There are so many things left to do still! T-67hrs Having people watch you while you work is weird. I got a fair amount done in my first stint. 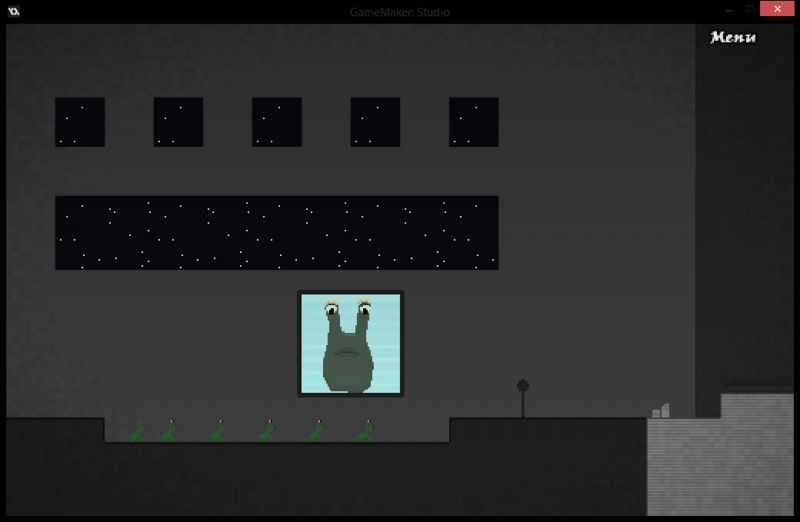 Lots and lots of art done, most of the animations done, and lots of decorations, and all the player movement. It feels good to be so far already. Edited by Lune, 26 January 2015 - 10:26 PM. All said and done, I have classes for the rest of the Jam time, so this is my completed version! Enjoy! Can always tumble away from danger! Death befalls the unwary orc troop. Always leave a different timeline of yourself in a safe area to allow a resynchronization escape. Or....use it to confuse your enemies in an ongoing fray! Sticking arrows! Next up, adding synchronizing and de-synchronizing. *subject to change bcuz lel. Edited by Chessmasterriley, 26 January 2015 - 10:18 AM. Idea! Something about flying around a floating city and syncing clocks. Real original right? Got the menu in. Now for sound and intro credits. This morning I worked on the clocks. Synchronization works pretty well. Edited by Detective Pixel, 26 January 2015 - 08:46 PM. ROY G. BIV is the acronym for the colors of the rainbow. Roy is an oddly shaped fellow who wants to get to the flag. Synchronize the blocks by clicking on them, so that when time expires, Roy has a safe path to victory. Don't worry, though. If you die, it will count towards some awesome achievements. 7:31 PM: Got an idea and made a few sprites. 8:23 PM: More sprites have been made. 11:00 PM: Working on fixing glitches. 12:54 AM: Time for sleep. 11:17 AM: Fixed quite a few things. Most of the framework is done. Forgot about the Devlog as usual. Edited by Sirham, 26 January 2015 - 11:43 PM. This sucker makes Daughter look easy. Edited by nvrogers, 26 January 2015 - 11:56 PM. I have a cool little clicky draggy thing going on here, not sure how I'll be able to implement the theme into it though. 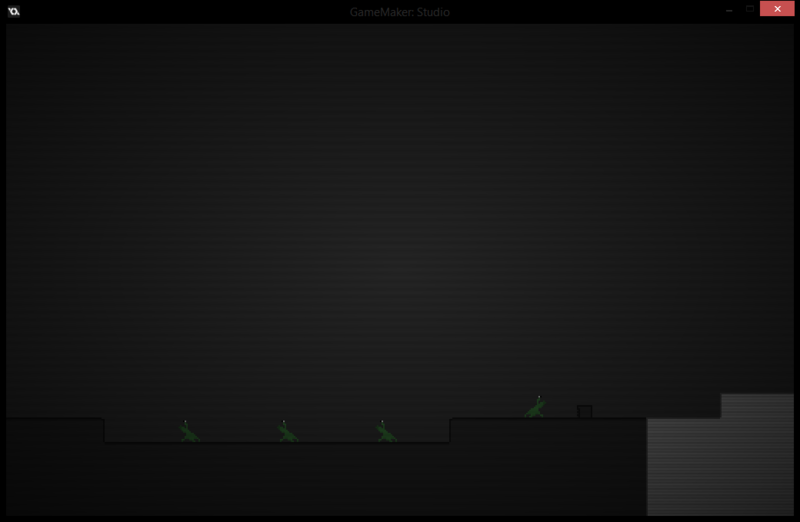 Well, I have spent most of my time making my game look nice, without adding any gameplay related things. D'oh! I think I'll take a programming break to make a logo for the game. Good news! Turns out adding gravity made the game 70% more fun! Well, I think I shall turn in for the night. I got a lot more done than I expected to on the first day, but I still have plenty more work to do. Good luck to the other entries! Good morning! I changed a lot in the physics so the game is both more challenging and easier at the same time. 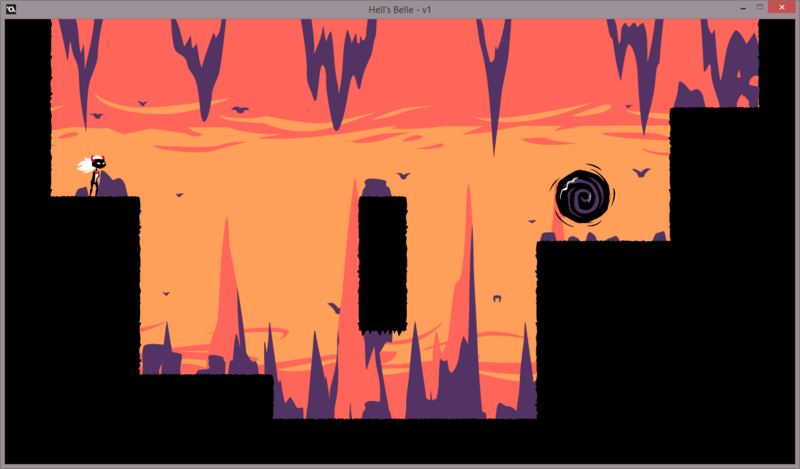 I also added a betterer tutorial and made another enemy and a deadly obstacle. Oh, and I decided that Ninja Arena Cube would be a more fitting name for it. I added ninja stars to make you feel more like a ninja. They barely do any damage, but they are useful in a pinch. And now... it is time to incorporate the handicap! BUT I WILL DEAL WITH IT. Added sounds and music. I'm going to focus on making more levels now. I gave the platforms a color shift so they stand out more against the background. 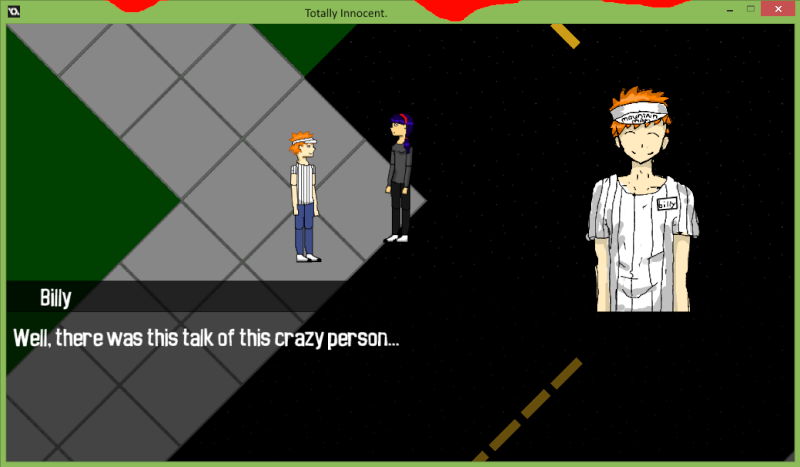 I think I will redo the player and enemy sprites as they don't really fit with the rest of the game's art style. NOTE: I had no idea that the games framerate was so high. 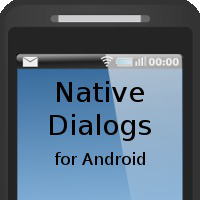 I have fixed it now, so if you have already downloaded it, please replace it with the new version. Edited by Goinbatty, 25 January 2015 - 07:42 PM. 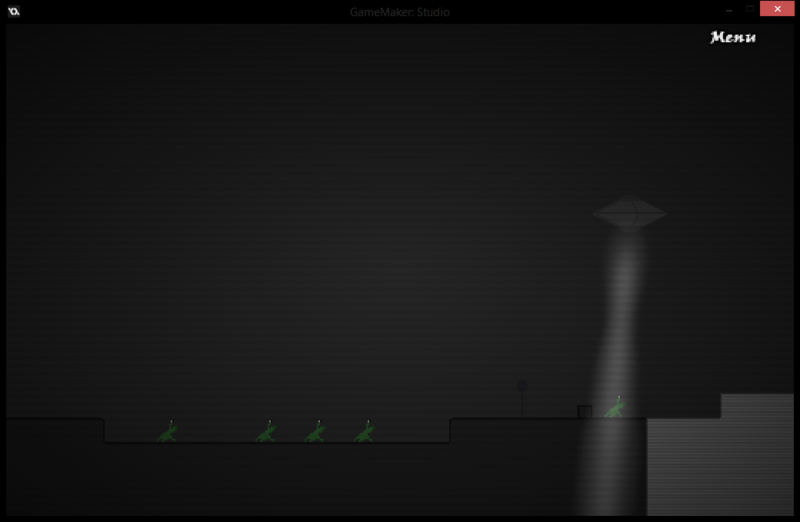 My game takes place on an alien spaceship. The main character is a spy disguised as an alien. I wish I had more time. So much to add. Edited by Xor, 27 January 2015 - 12:07 AM. Edited by dadio, 27 January 2015 - 12:06 AM. and it is only up to the brave heroes to rid the land of them. You will have to choose 2 heroes and you will control them at the same time. When one of the heroes dies, the other one becomes a lot more powerful, but after a while the dead hero reborns. However if both of the heroes die, it is game over for you, so becareful! And play smart! Entry 7 It's finally starting to look like a real game! 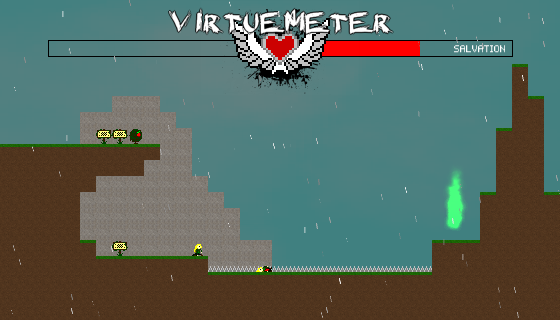 Improved the graphics, added some HUD elements, score system and a new playable character - the wizard. Entry 6 When one of the character dies, the other one becomes stronger, and after a while the dead character respawns. However if they both die, it's game over. It's the first time Im actually making this kind of top-down game, and it's the first time im messing around with depth and stuff. Did it in a kinda weird way, but I guess it works anyways. Entry 5 Ending the jamming for today,will continue first thing in the morning. Entry 4 The development is going fine! 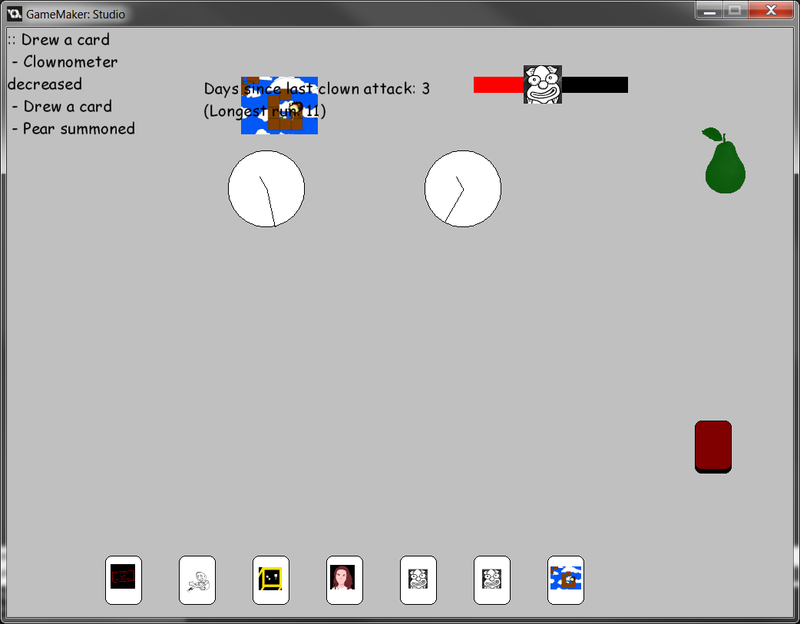 I've finished a lot of stuff, now got to add more monsters, score system, and all kinds of visual thingies. Entry 3 Finally got the idea how it's going to happen, Im thinking that I will have both the theme and handicap included. Entry 1 Ok, I think I got an idea already! Will think about it more, and start making it first thing in the morning! But now - sleeping time. Edited by aamatniekss, 26 January 2015 - 08:22 PM. 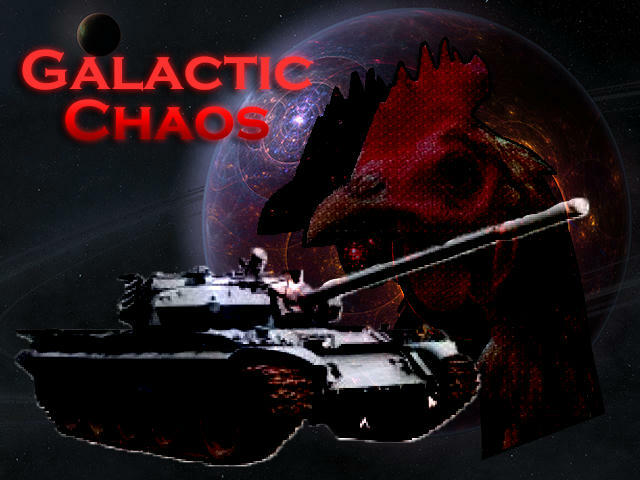 Came up with the name for the game and already have a pretty good idea of the concept, at least for the theme. Getting the handicap right is going to be tricky. I also downloaded the nifty font I used in the logo. PROGRESS. I haven't really done too much of the actual game play though... could be a fatal error if I'm not careful! My devlog blackout far from being a signal that I have given up... is actually a signal that I got pretty into the zone yesterday! Managed to do around 10 hours work. The game is complete and playable in its current form (the story makes sense, the game has ~5 mins proper game play) so now the plan is really just to add as many interesting levels as possible tonight when I get home from work! I'll try to spruce up this post then too and add a new screenshot or a video. Finished with two hours to spare!! WHEW! Apparently, my toilet is a time machine which instantly took me to Day 3, so no gifs for Day 2. Edited by kepons, 26 January 2015 - 08:47 PM. The sequel to my GMC Jam #11 entry, Destitute. Destitute 2 is the successor to Destitute, featuring a retelling of the story with some new twists and surprises! As a lonely soul, follow a mysterious beast through a dark labyrinth, and take full advantage of your ability to duplicate! Edited by 11clock, 27 January 2015 - 01:14 AM. The Academy's many lessons in survival and exploration taught you many things, but the warning to not touch mysterious artifacts slipped your mind. As you've come in contact with a cursed object, fragments of your soul are scattered throughout a treacherous dungeon, keeping you anchored in the mortal plane. Collect the fragments of your soul and combine them to restore your humanity - or spend an apparent eternity stumbling between the afterlife and physical plane, dying and reincarnating over and over. Edited by TehPilot, 26 January 2015 - 11:47 PM. 02:11 - Game has been named as Cynthia. 14:20 - Main [template] character in game. 18:10 - Added 'time' and finished designing the logo. 19:37 - Template background in game, first screenie taken. 18:22 - Mobile phone [key element] added. 19:10 - Working on the world map. Edited by peps1992, 26 January 2015 - 04:27 PM. Brainstorming and a small amount of planning. Very prototypical code/graphics done. Had second thoughts about the idea, so I put it on hold for a while. I've decided to continue it however, but now it's time for bed. Did some more planning. Prettied things up a bit. Got a lot of work done, mostly on level design, yesterday. It's full steam ahead today. Got most of the game done last night. I had to cut out some content I wanted, but oh well! Edited by Coolbot4k, 26 January 2015 - 06:56 PM. The story of the agonized creatures called Lanks and how they must die to live their lives. 8.50 am Saturday: Idea achieved! Some art is now in mind. 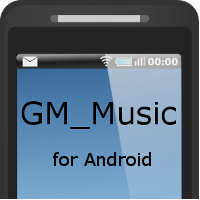 9:10 am: Started up GM! 2 pm: First testing room up and ready, with some main sprites drawn. Movement is still a little wonky, but will fix. 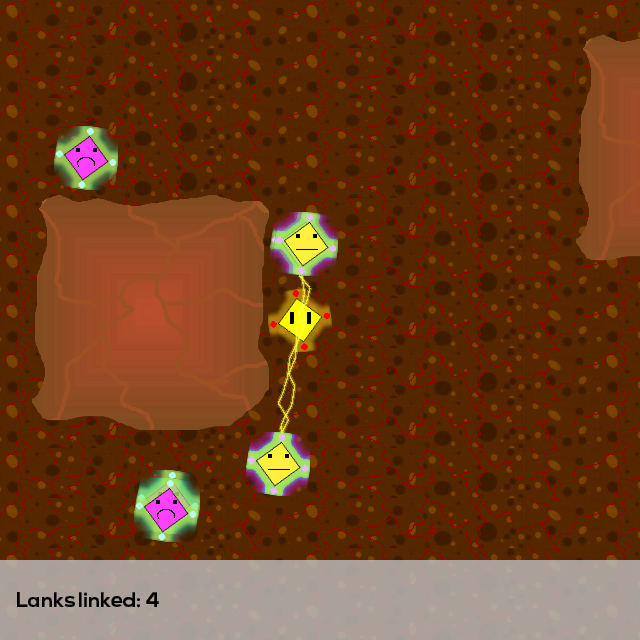 3:40 pm: HUD is now created; added a "Lanks Linked" counter. Resting for a bit. 4:35 pm: Added Lanksmog Dispensers, the first thing in the game that can kill the Lanks and bring them to salvation! some time later: Added: Laser Gate, as well as death animation and sound for the Lanks! 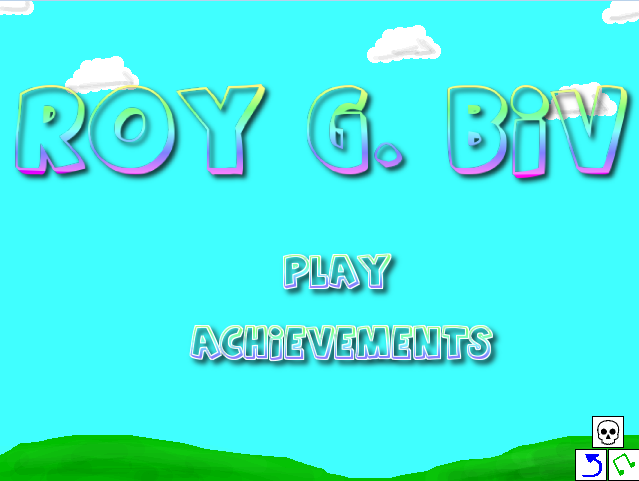 Also, made a basic main menu screen, added some background music, stuff. Pretty much the entire game is planned in my head. Just gotta put it down now. 11:20 pm: Saved and closed the project for the day. That background music was 39 MB, took a while to save. Oh well. Jam's all about quickly making games, not so much about efficiently making games. Or maybe it is? Who knows. 9:00 pm Monday: I'm DONE!!!!!! WOOTWOOTWOOT! Edited by DocNogloff, 26 January 2015 - 02:58 PM. You need the dark theme to truly appreciate that logo I think. It's white. 00:00: Rushed in all guns blazing. 00:01: Realized we didn't have any guns yet. 00:30: After a while of just fighting over something else, possibly candy, we started on the game! 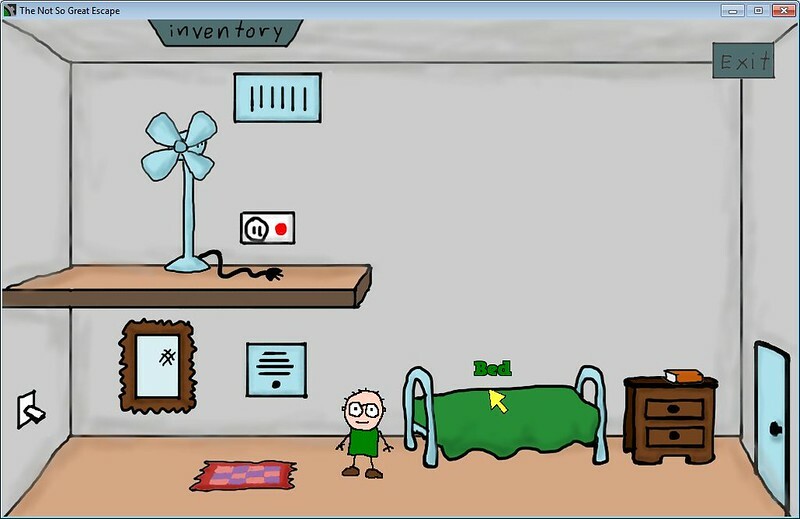 01:30: Main objects are there for the game, and sprite design and a maybe finished? saucer done. 02:30: Marc had a pizza. No further details of the event thus far. 11:30: Woke up, showered and breakfasted. Trashed my Saucer AI and started it again. Marc made new team logo. 12:15: Basic saucer attack pattern a little like Space Invaders. Missiles have trail effects! 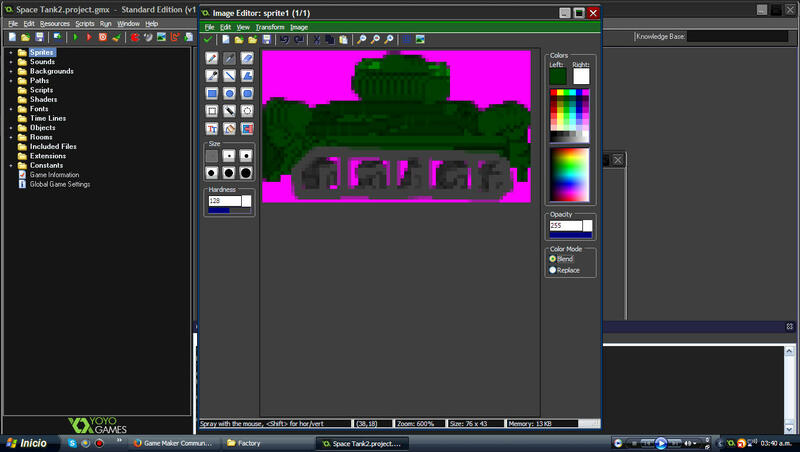 Tank sprite added and temp background added. From then on: Time passed and stuff happened, it was epic. 12:00: Jack woke up. Marc went to sleep. Dem tiem zones. 12:01: NEW SEASON OF BLACK SAILS! 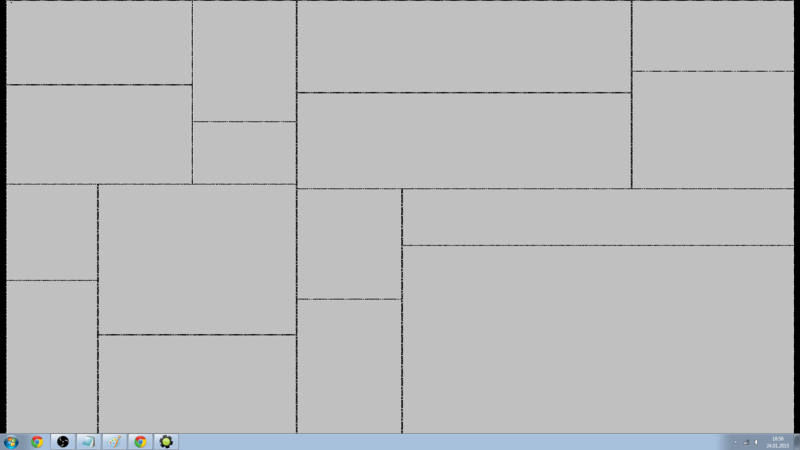 13:30: Finished putting in all the new background art. Edited by JackOatley, 26 January 2015 - 11:22 PM. Day 2, 2:02 AM: I'm tired. Time for more Mountain Dew. Also some more basic design/programming. Day 2, 4:16 AM: Level design progress. Day 2 9:00 PM Music! Edited by mystborn, 26 January 2015 - 10:48 PM. Done a quick plan, ready to go! Edited by JimmyBegg, 26 January 2015 - 11:51 PM. 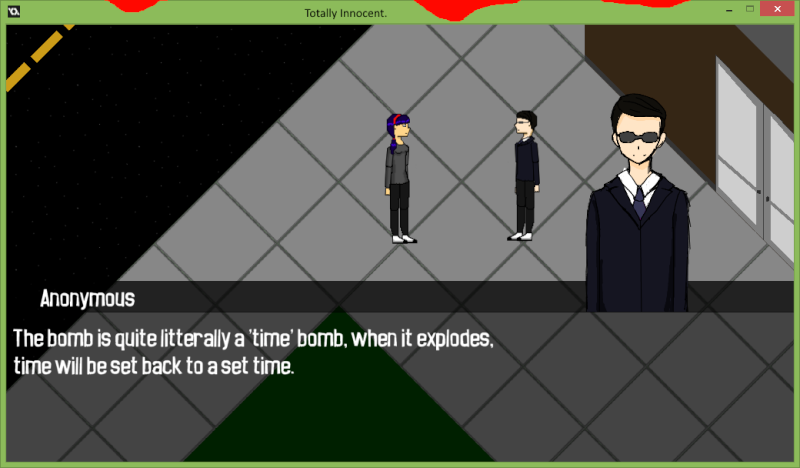 The idea is: You control dynamite and other explosives such as cherry bombs, missiles, etc. throught a cloud system (use of theme). When you are ready press up to detonate the explosive. The objective is to gain the most points as possible to open the next level. Edited by brainstorm, 26 January 2015 - 09:17 PM. Edited by Snotling Master, 25 January 2015 - 09:29 PM. 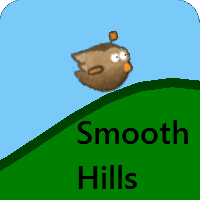 In this game you are a duck that wants to access a hidden temple. But the entry is too small... But you'd had an idea: to achieve bad karma and getting reincarnated into an ant. For that, you'll consult the book about the ways to achieve bad karma and find that the best one is getting into a bagels house and destroying all the synchronized clocks. But watch out!!! Without regarding your allergic reactions when you touch a bagel, the non-synchronized clocks have mortal traps. Remember to achieve a lot of bad karma before being dead... If you don't do so you'll be reincarnated into a pig!!! Screenshoot 1: Here I show the duck, some clocks and bagels family's girl. Dedicated to all the flies lovers. Because flying pandas are the solution to all our problems. The duck, the hero of today, the ant of the tommorrow. Edited by brainstorm, 25 January 2015 - 11:17 AM. An arena shooter game where you'll become a turret when you die, making your next life a bit easier. In order to shoot at your full power, synchronize your movement with the fairy to build up your SYNC POWER. Just remember to get out of harm's way if she's moving towards a cluster of enemies! ...or not, since you become a turret when you die. Enemies are introduced over time, so the game get progressively harder with both homing and shooting enemies starting to blast you to bits! Keep on fighting for the highest highscore! First full version can be downloaded from HERE! 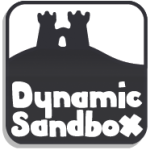 Now has synchronization and music! - You are a virus in someones blood vessels. 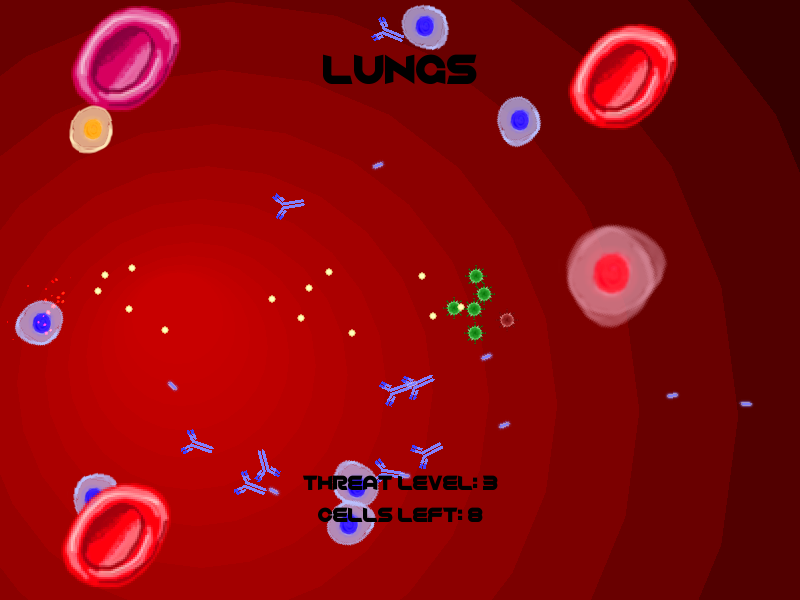 - You can infect blood cells to create more viruses. - When there are a lot of viruses they move as a group. - There will be antibodies fighting you. - You win when all cells are infected. Make your way to the heart! 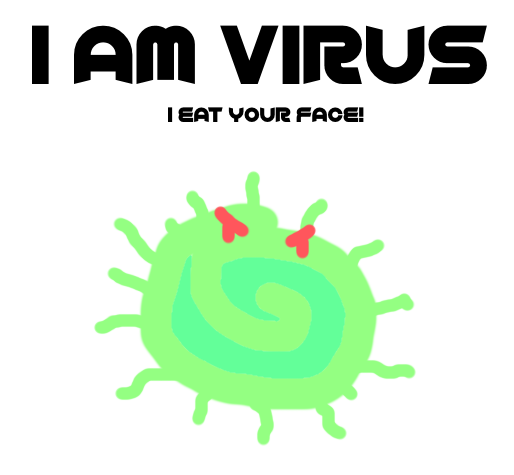 - You lose the level when all viruses die. 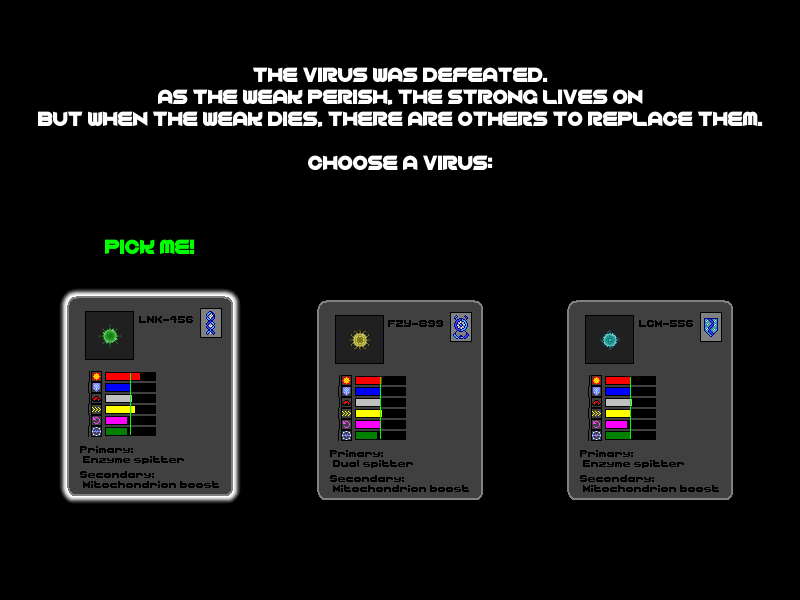 - When you lose you get to choose a different kind of virus with different stats and abilities! - Go stealth or guns blazing! Morning - I've got an idea that will work, probably, if I can squeeze enough time out of this weekend. Lunch - Not much progress done, I'm afraid. I'm having trouble making multiple viruses behave like a group. For now I'll let them act as they like; I've got too much stuff that needs to be implemented and I can't waste all of my time here. Should have been lunch - I'm making progress. 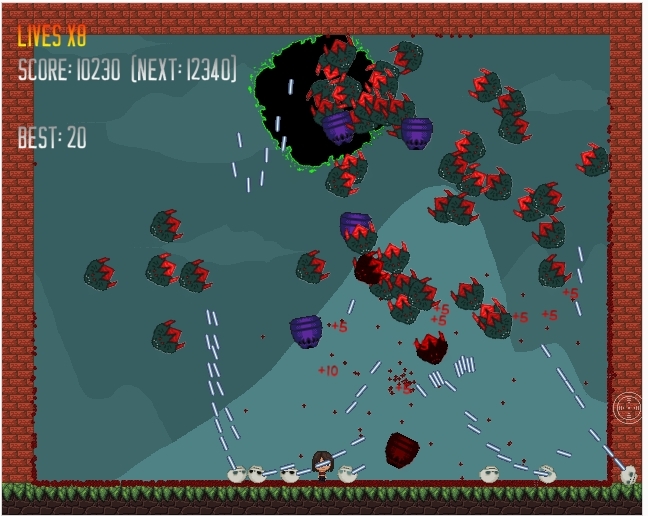 Most of the graphics are just placeholders but I think the blood cells look great. You can see what they're supposed to be and it's the best I can produce anyways. The blood cells change color when infected. Actually lunch - I've added a B-type white blood cell. It reacts to viruses and spawns antibodies and is a real pain when provoked. I've also encountered serious balancing issues as having multiple viruses multiplies your attack power and is generally too op! I have to find some way to make additional viruses less potent. Afternoon - It's not fun. It's sad but true. I don't know what to do about it at the moment but I'll keep tweaking stuff for now and hope for the best. Hopefully I'll have come up with something soon. Late afternoon - It's better now! Still not good enough, but better. 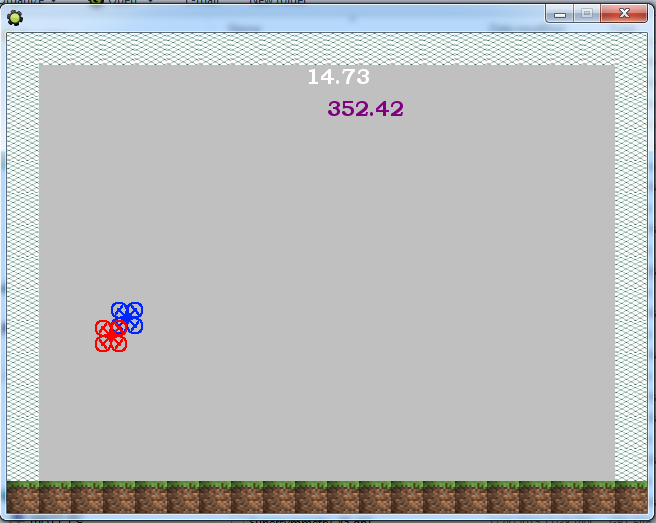 I think i can make this work if I add some more contents and continue to adjust the game balance. Evening - Adding particle clouds to the T-types. Also, time for dinner! Behold the beauty of rotting cells! That's all for day 1. 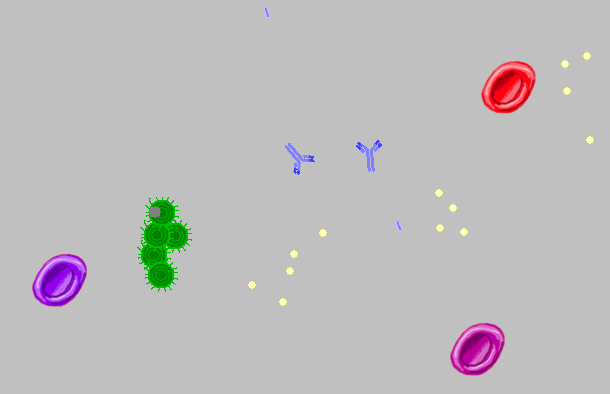 12:00 - I've added a plasma cell. It spews out a stream of antibodies that sticks to the surface of the viruses which damages and slows them down. It's massive and extremely lethal up close! 13:00 - Gone is the ten-seconds-in-paint job. Now the background looks like it might actually be a blood vessel! Onward to adding particle effects! 14:00 - You can now lose. This will take you to another screen where you will be able to choose a new virus type and try again. I haven't gotten that far yet, though. 20:00 - I'm working on the upgrade choosing. I still need it to display each virus' weapons and add some tool tips to make the stats understandable. 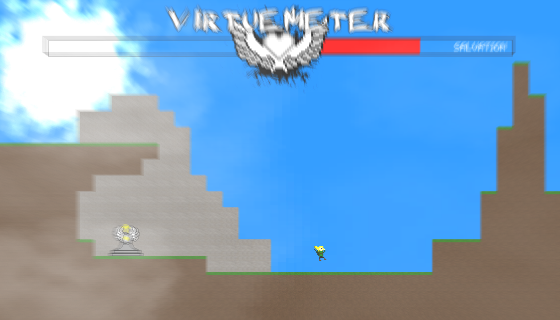 Then there's testing and implementing the actual weapons. Will I make it? Let's find out! 18:00 - Started working after a full day of programming on school related stuff. I've got the rest of the evening dedicated to this. First on the agenda is finishing the rest of the weapons I want so I'll do that. 18:45 - That's the last of the main weapons. Special weapons will have to wait until I've made a level selection and a few levels! Time for the actual levels! 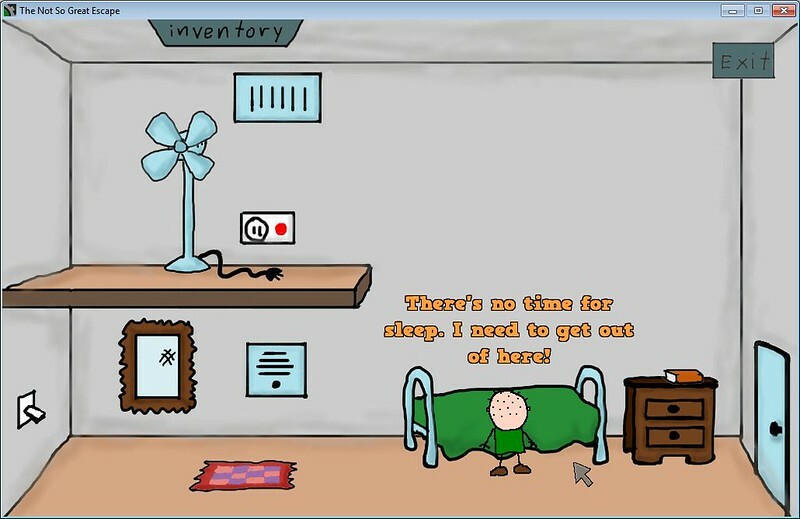 23:40 - My room mate's asleep and I have yet to beat my own game. Whatever, time to call it quits and go to bed. Good night everyone and good luck in the competition! Edited by GameDevDan, 27 January 2015 - 09:10 AM. 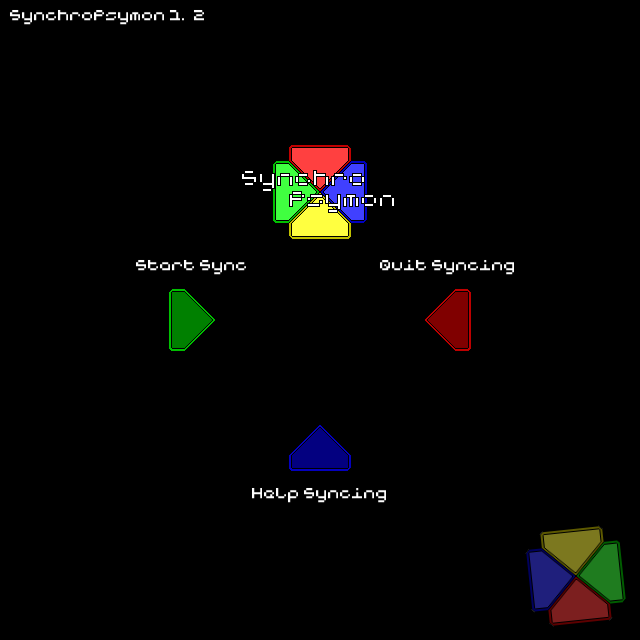 Out of Sync is a platform-puzzle game where you are controlling two characters (Light and Darkness) at the same time but in opposite directions. 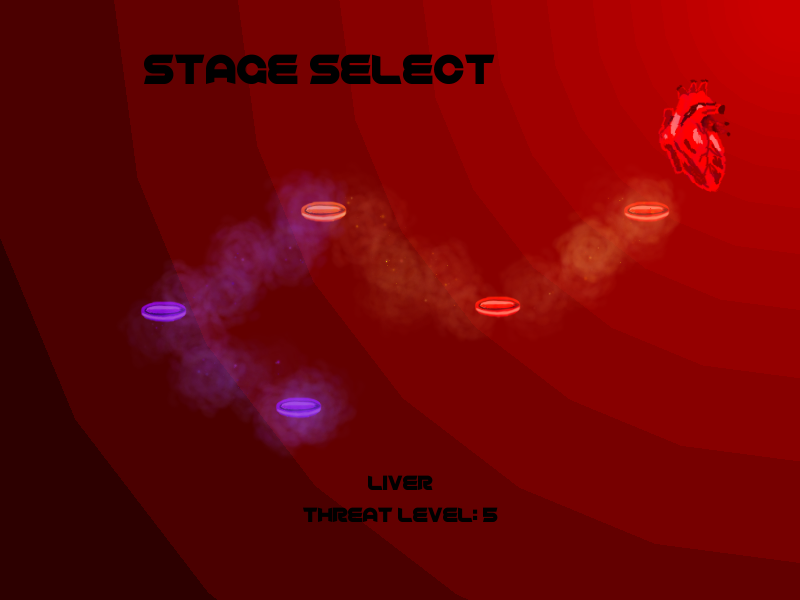 The aim of each level is to complete the game as light, but kill darkness as well. Edited by AntonHuckleberry, 26 January 2015 - 11:29 PM. 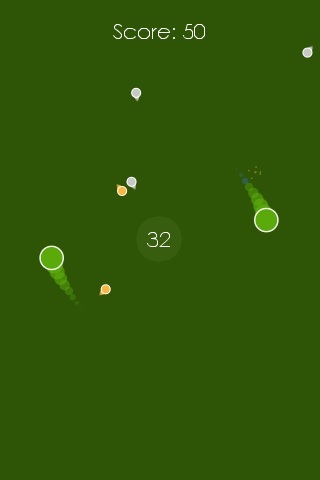 arrow keys - face the direction you tap without moving. Z, X, C - Use inventory item 1, 2 and 3. Personally I am quite happy with this game! It's much better than I thought it would be! There is a red circle with a black ring around it at the bottom of your screen. That black ring goes in on a beat. Synchronize your movements with the beat! Goal: Get as far as you can! A COMPLETELY FAILED ROUND OF THIS GAME!!! 12:00: Done planning, time to get up from bed. 17:00: Have to go to the grocery store. Almost finished generation. 18:57: Dinnertime. So far on a good note. (Sorry) ANYways... Generation almost complete! Spent some time off the computer. ~21:30: Back to development. Immediately got some issues. 23:39: FINALLY FIXED ANOTHER GLITCH!!! Also started making holes between rooms. 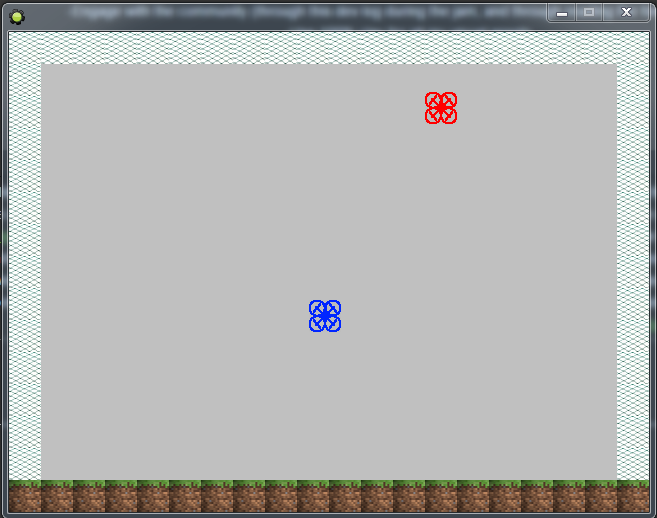 Added 4 different stone sprites (for variaton :D) Also, there i going to be a view. 17:30: Did a bunch of work on the generation, over 2 and a half hour of work had to be removed . 18:30: I see myself done with the basics now. 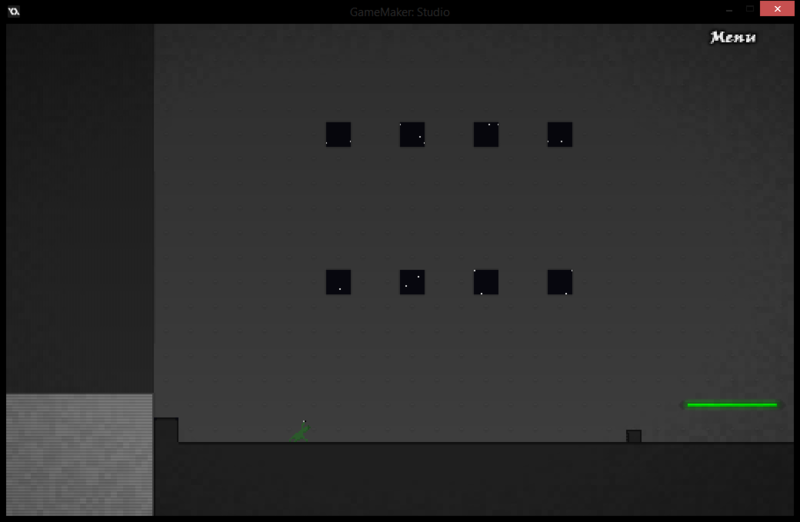 Now I need to generate objects and enemies inside the rooms, so that they wont be that boring. But first time to eat. 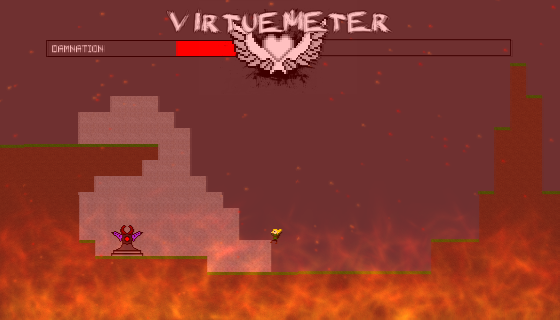 - Lava that instantly kills you and has a funky animation. - Water that decreases your stamina by a lot more than it probably should and also has a funky animation. 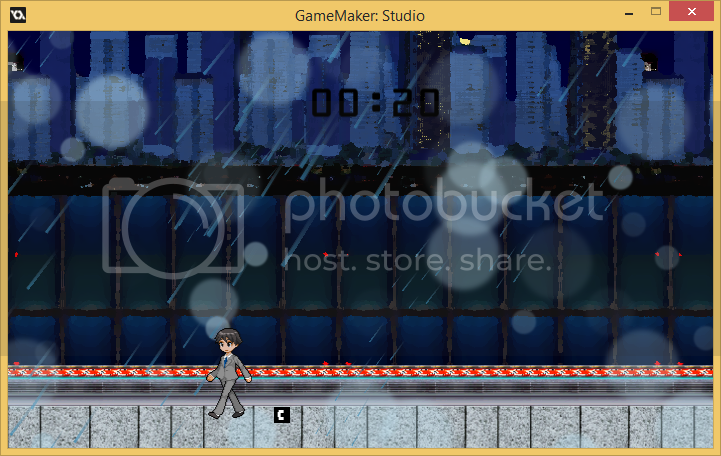 15:30: Did some perfect spriting (time constraints). Edited by TcMaX, 26 January 2015 - 10:13 PM. I have poor english. I hope you understand what I write. A game where time is everything. fight your way through a clock tower, controlling time as you go, in order to create synchronisation with the world around you. 05:12 - Could really do with a way to make the room look like its rotating... which wouldn't take all the time I have left. 10:50 - Player can now die, with benefits ! 12:25 - Some new art and animations! 05:16 - Nearing the end, all art and most level design in place. 11:43 - Working on balancing, its pretty difficult to complete... not sure if it's a good kind of challenge though. 09:46 - A few finishing touches and done! download above. Edited by wikaman1, 26 January 2015 - 10:50 PM. Edited by The Rock Abdo, 27 January 2015 - 12:05 AM. Oh my god, I released it just before the jam was over. 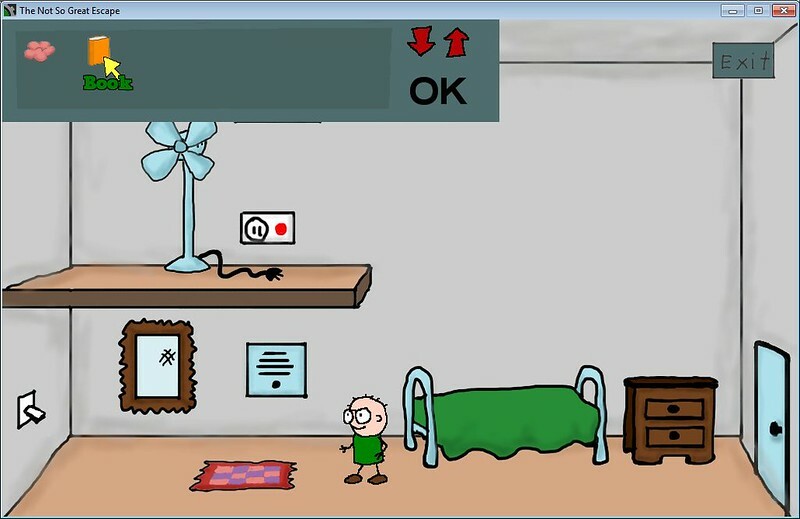 Controls: WASD or Arrow Keys, use mouse to interact with characters. The goal of the game is to stop a murder from happening, you learn about the suspects and try to stop the murderer before the girl dies and you loop back in time. The girl dies at exactly the time the two clocks on your HUD synchronize, and you get looped back. I barely got the game playable in the four hours I had today to work on it. I hope you like it, I personally like the isometric style, i've never worked with isometic stuffs before. It's not finished, but I hope you like it! Check out the topic here for information! Edited by trg601, 27 January 2015 - 01:18 AM. Barely made it! Just in time. added some stuff and spruced it up a bit. enjoy! Getting the machine a-rollin! got the sound all synced and ready. now its time to just add the bombs and weapons! Hopefully I can get this done in time! Shouldn't take too-too long. Got some explosives and bombs set up along with oneshot lasers and cannons. Now its time for the real fun to begin. program some long lazers! character made, and it is getting to look fairly polished. Things left on the agenda: Menu, Counter, Health. baboom! Edited by Gizmo199, 27 January 2015 - 12:00 AM. GAEM NAEM: SUPPER PIXL ADVETUR!!1!!111! Edited by Goinbatty, 26 January 2015 - 03:25 AM. Edited by Lan shade, 26 January 2015 - 03:05 AM. This is a point-n-click escape the room type of game. You have to figure out how to manipulate objects in the room so you can get finally escape to freedom. Some objects have to be in a coordinated (synced) state to make progress. Edited by Greg Squire, 26 January 2015 - 10:35 AM. Play dis $hi7 in yo browsa, yo. A sequel to the fan-favourite, Psymon Says! I focused on Theme, there is no handicap or secret word use. Edited by LukanSpellweaver, 26 January 2015 - 07:25 PM. Finished my Jam Game early for the first time (feels good). Hope you enjoy it. Edited by Monstr Gaming, 26 January 2015 - 07:14 AM. If you have any suggestions, PM me. Edited by RekNepZ, 26 January 2015 - 11:56 PM. 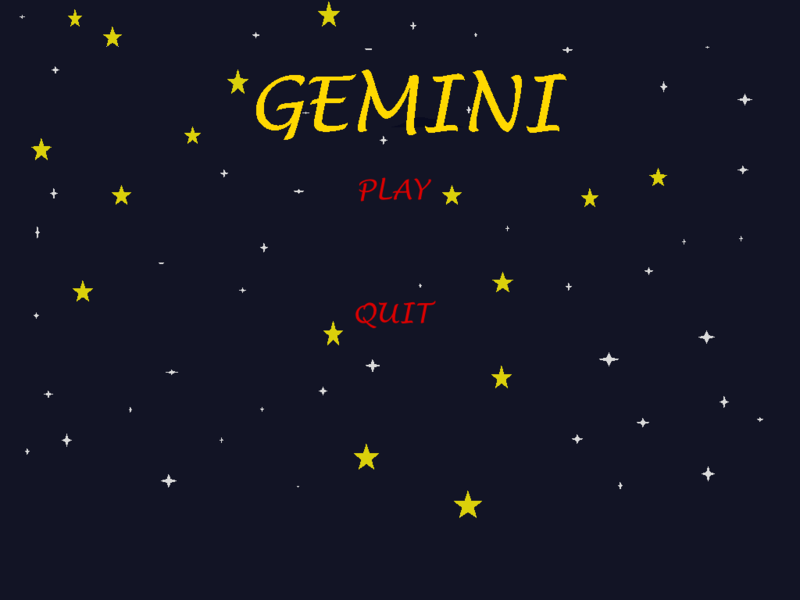 This is my first post on the yoyogames forums, and also my first game jam & dev log. I've used Game Maker before, and am very excited to be joining this awesome community! The sheer amount of great content to check out is definitely overwhelming, but I'll do my best to keep up. I've been wanting to do more game prototyping recently, which lead me to searching around for game jams. When I saw that there was a jam for the one tool I really even had any experience with (Game Maker) and it was occurring on an upcoming weekend that I had available, I was in! When I sat down and opened Game Maker for the very first time to start a new project, I was then forced to come up with at least a working title for my game. When I think of the word synchronize and the concept to "cause to occur or operate at the same time or rate", I'm immediately reminded of the word Supersymmetry, because it is the title of two of my favorite recent songs. I always thought that it was funny that Starcadian and Arcade Fire both seem to have serendipitously come out with a song titled Supersymmetry right around the same time. To me it's very indicative of the era that we're in, where there's just so much art, content, and consumption out there that we're actually running out of names to call things! In a tongue-in-cheek moment, I named my gm81 file "Supersymmetry .1" and plowed ahead. 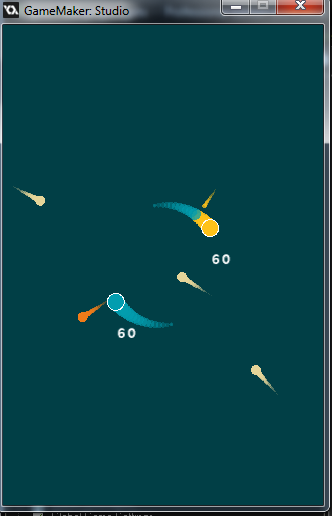 I quickly threw together two avatars, each with their own controls (WASD & arrow keys), and my very first version of the game has the core control mechanic (flying around with incremental momentum) that the final product will end up with. Since I'm having a lot of formatting issues trying to put images inside the spoiler tag, I'm just going to link to all the images and content I post from here on out, and not try and embed it. Here's what Supersymmetry .1 looks like: http://i.imgur.com/vJywsz5.png http://i.imgur.com/Fd36WoR.png The drones had hair-trigger controls, and when they hit the walls they'd just stop. --- Supersymmetry 0.2 --- By version .2 of the game I was starting to think that it might be fun to make a game that involved trying to keep both drones flying around inside the gamespace without flying off - since doing this was possible but quite challenging with the current control scheme. 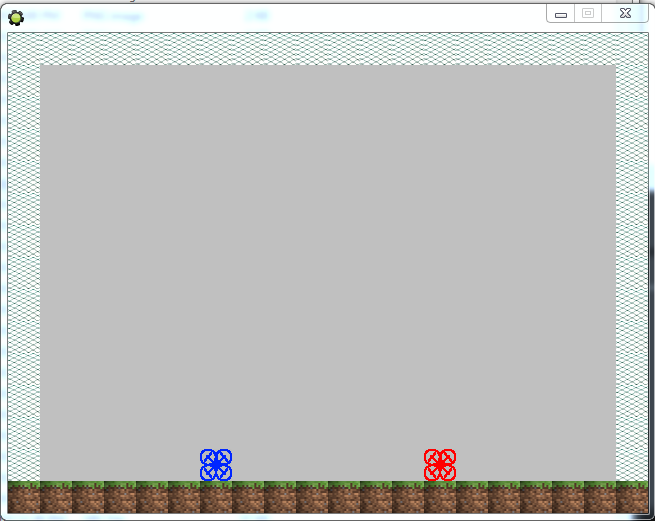 At this point I added a timing element to the game, and revised some of the controls a bit. 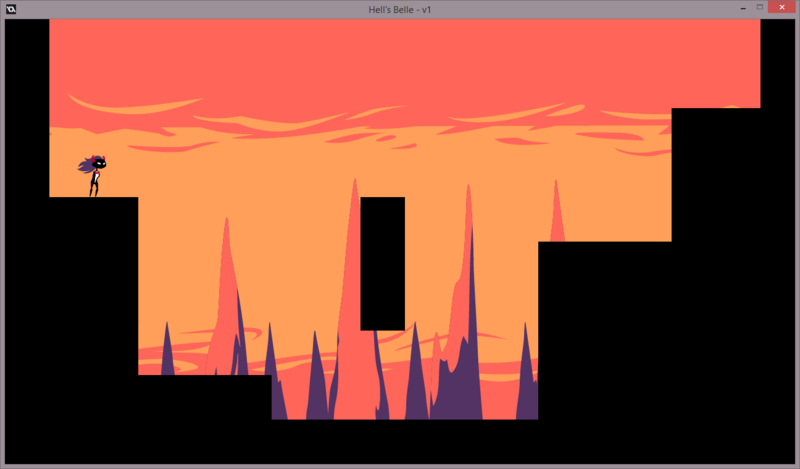 Supersymmetry FINAL VERSION - Here's my final version of Supersymmetry for the jam: http://www.fast-file...aspx?file=85331 and here's an album of all my dev photos: http://imgur.com/a/Bqub2 Thanks for reading! Edited by pinsir935, 26 January 2015 - 11:11 PM. !! Please read the short "SUMMARY / HOW TO PLAY" list below! Thanks for playing! It's our second game jam, and halfway through the jam we scrapped our original idea and went with something new. It's not perfect or anything amazing, but I learned a lot and am glad I participated and submitted something. 1/23: We want to make a sheep herder game. I get a group of 10 sheep going, and have them moving across the map. Made the herder, who originally had a "Time Gun" to slow down/speed up sheep that were falling behind to keep them all together. 1/24: Okay, AI is way more time consuming than I thought. The MP_GRID AI won't work for this game. I spend most of the day trying to get a good AI system going, but I'm not feeling it and a member of #gmc told me it was probably a bit much for the jam. 1/25: I sleep on it, and wake up and think "What if you play AS a sheep who's an outcast and is trying to keep up with his mob that continually tries to ditch him? This was a lot easier to implement, and after some gameplay tweaks and art + sound etc, I'll be ready to turn it in. Looking forward to finishing it, even if the game is way simple and maybe even a little difficult. Edited by DeliriumBoy, 26 January 2015 - 11:13 PM. I only had a few hours to put this (back) together, I had freed up next weekend for the Jam (curse you Dan! ), so I kinda shot myself in the foot here for not checking the Jam dates first. Anyway, here it is, I've reprogrammed from scratch, not that it's entirely too impressive mind you, and I had to adjust all the graphics. Come to think of it, I'm not entirely sure if this breaks Jam rules, so feel free to ignore/delete this if it does. Edited by Rusty, 26 January 2015 - 02:35 AM. Originally intended as a joke game, I kept adding stuff and eventually it reached the point of actually being mildly fun. Play a deadly game of cards against an ever advancing clown; try to last as long as you can. Edited by Mercerenies, 26 January 2015 - 11:30 PM. Synchronize your jumps with the Bull! Don't be too slow or too fast with your taps or he might get you! Don't worry though, the crowd loves to see you die, so you'll end up getting more fans anyways. My First ever entry to the Jam(or anything like it)! And my second published game ever! All graphics were drawn during the time frame (except for the logo), all code was written during time frame, all sounds were found during the time frame and were credited on the Android App page. Edited by AndrewCay, 27 January 2015 - 12:04 AM. A game of dashing around and shooting. And dying. 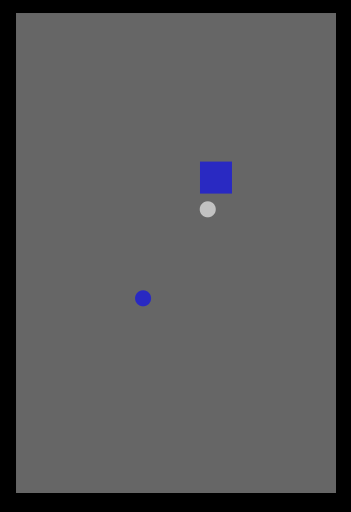 A game where you drew first -- enemies shoot only when you do, and always in the same direction. A game where you have to make sacrifices; where you have to die reach the goal. Edited by Nallebeorn, 26 January 2015 - 10:04 PM. So, this is my first submission and I decided to create an (kinda) interactive (lack of better word) story as I didn't have too much time on my hands. Its a cute little story that took me 5 hours to put together thanks to the lack of my pixel art skills. I'm very pleased with how it turned out with such a restriction of time. Edited by Soki, 26 January 2015 - 11:20 PM. One mans journey through the white veil. 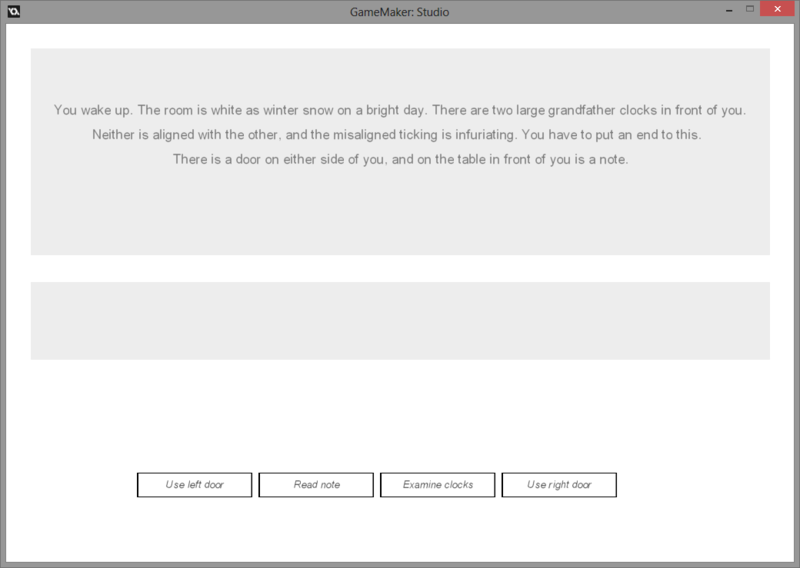 An interactive text adventure. Create a new project. 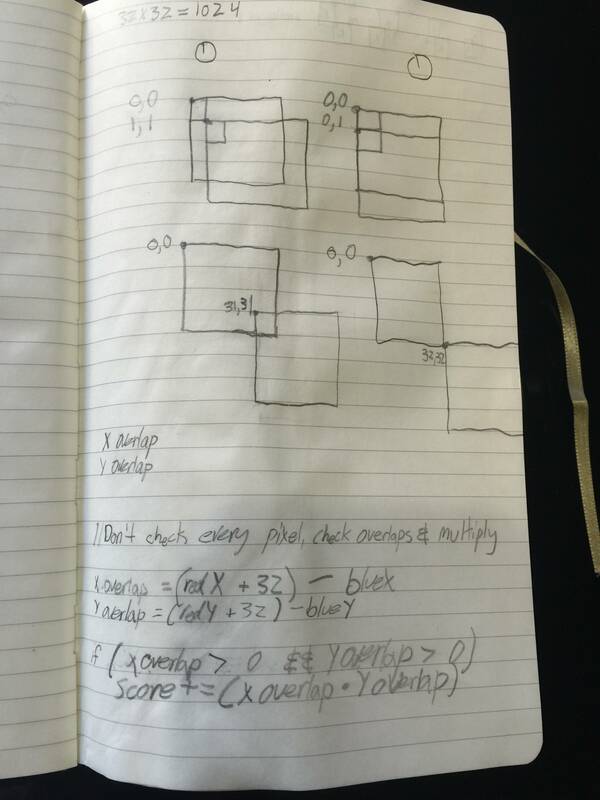 program a textbox, inventory and the controller for the in game data system. Just had dinner. It was delicious. Decided I needed inspiring programming music so I threw on an eminem playlist. ok, so items now can be used as tags for the controller; Meaning that if you don't have some item you're not permitted to interact with things. So far not going too badly. As the clock approaches the next stroke of the clock I manage to draw a schematic describing the game, or at least the areas in it. While it is prone to change I think this is going to suit me just fine. Image for those that are interested. three more rooms done. Thankfully thanks to my setup I'm now officially done with the gameplay section of the engine and can focus on swift creative writing and creating mood. Let's start by filling out all the rooms. ok I lied. I forgot one command the controller object had to had access too. Another death written. This is going to be on morbid game. bonus point if you can get through it without thinking 'uuu wth' at least once. ok, two more rooms ready. I just might make it. Ok, now its a race against a clock like never before. I'm trying to push out rooms as fast as I can but there are only three hours left and I'm only 3 hours in. 2 and a half hour left. Got to type faster. Faster. FASTER!!!!!!! On another note. This is just getting depressing. It doesn't even have a coherent setting like 'The Bedroom Door". Just pure Cro. God, this game isn't even artistic anymore. I'm just pumping out rooms as fast as I can to finish the base line in time. No matter if originality suffered, I just want to finish this. I only have 6 rooms more I think. Edited by mr magnus, 27 January 2015 - 12:56 AM. Edited by the ch8t, 26 January 2015 - 07:33 PM. The forces of good and evil are fighting a fierce battle! And you're a postman that keeps them both updated. Or maybe even synchro-*gets shot*. - sent the game; now I'm officially participating in the Jam, too; wouldn't want to miss out ^^"
Just hope I won't get last place for that, though knowing some entries from previous Jams there should be something worse out there... ^^"
Edited by Alice, 26 January 2015 - 07:08 PM. Wish I had all the records,...........but I wrote 'em all.